The legendary investor said Thursday that he bought stocks during Wednesday's 238 point drop in the Dow Jones Industrial Average. "I like buying it as it goes down, and the more it goes down, the more I like to buy," the 84 year-old Buffett said during an interview with CNBC. Though he wouldn't specify which companies he bought, he claimed they were "names you'd recognize." But while Buffett noted that Wednesday's selloff "helped" in his decision to buy, he insisted that he would have purchased those stocks regardless of how the overall market performed that day. "If you told me that the market was going to go down 500 points next week, I would have bought those same businesses and stocks yesterday," he said. "I don't know how to tell what the market's going to do. I do know how to pick out reasonable businesses to own over a long period of time." Buffett's comments come as investors become increasingly nervous about stocks. Rich valuations, ISIS, Ebola, Europe's economy, and protests in Hong Kong are all making them feel particularly vulnerable. CNNMoney's Fear & Greed Index, an exclusive indicator designed to measure market sentiment, has been in Extreme Fear mode since September 22. The Dow and S&P 500 are both down around 3% from their record closes in mid-September. Still, Buffett is staying the course. The billionaire said in the CNBC interview that with the exception of some utilities companies, the pension funds Berkshire manages for its portfolio businesses are invested 100% in stocks. And as always, Buffett advised investors to only invest in companies they know. "If you don't invest in things you know, you're just gambling basically," he said. 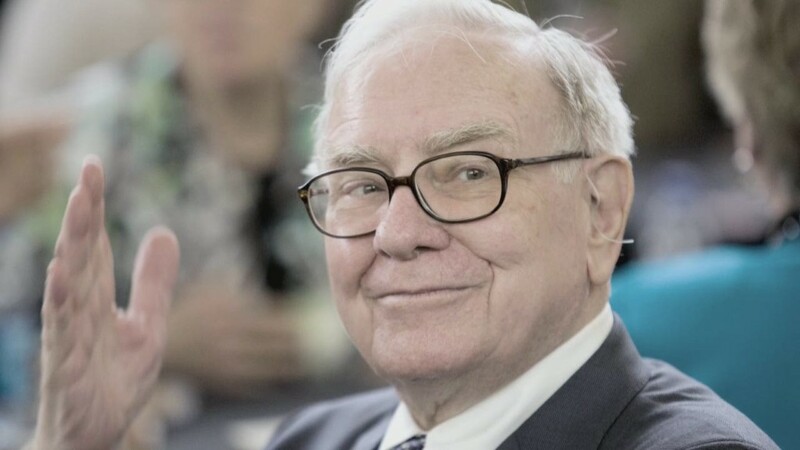 In addition to adding stocks to his portfolio, Buffett announced that his conglomerate Berkshire Hathaway inked a deal Wednesday to acquire the Van Tuyl Group, a privately held auto dealership chain with 78 locations in 10 states and $8 billion in annual revenue.